When the king is tricked, his servant Daniel must face a den of hungry lions. This warm-hearted story featuring a favourite Bible animal is a tactile treat for little fi ngers. 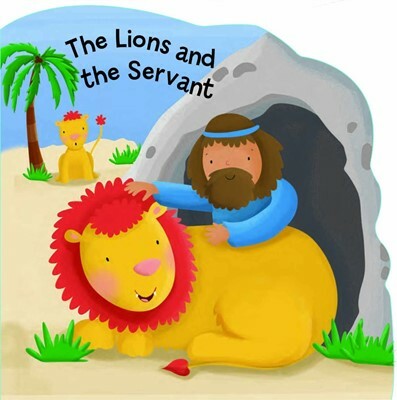 Gently shaped and with embossing throughout, this retelling of Daniel in the Lion’s Den helps little ones know they can trust God.